"self-publishing for fun and profit"
Da relação do digital publishing ao print, começando pelo que mexe no primeiro. O Publishers Weekly reporta da semana passada um Publishing Summit, 13 nov 2017 "a mix of publishing professionals, librarians, developers, executives, and digital creatives working with a now shared sense of purpose", sendo esse propósito o "the pressing need for a common standard in digital publishing." Presentes dois pesos pesados de universos cada vez mais próximos: World Wide Web Consortium (W3C) e International Digital Publishing Forum (IDPF). Entre outros tópicos, acessibilidade, lista de formatos que não serão digitalizados (*) com a tech actual, e de olhos no futuro aquela ganância pelos dados: "exploring how data analysis, artificial intelligence, and virtual reality will reshape content in the future." * "A long list of print formats that publishers currently can’t adapt as digital books: these included pop-up books, flap books, touch and feel books, and books with more than 3,000 images." Bluefire Reader imagined a future where virtual reality tech is portable and ubiquitous. Artificial intelligence and analytics would help publishers target readers with the efficiency of Amazon. (...) Adobe “Sensei” artificial intelligence platform will someday help publishers craft “deeply personalized content”. (...) Macmillan already uses digital reading data to tailor learning to individual students. Segway ao tal exemplo. Não só suporta em digital ambas as variantes que são queridas ao W3C e IDPF, como engloba ainda o print em paper. Senhores...? I was a bit nervous about producing a physical book since obviously any screw-ups would be forever ingrained in a physical format with no option to Cmd+Z (holy smokes I love the web). * "ePub, mobi, PDF for desktops, printing, and as a general fallback"
...while also providing people a vehicle to financially support the endeavor. And while reading a book online is possible, it’s not exactly an ideal format for long-form reading. Paperback and ebooks often provide much better experiences. So the combination works out: free online for reach and paid paperback & ebook for reading experience. 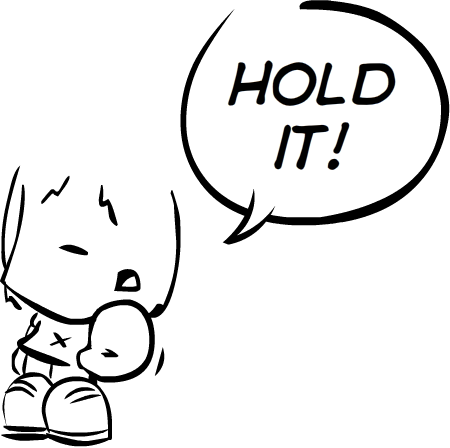 Many people are skeptical of the idea of “giving your ideas away for free”. Let me be clear: I 100% believe creators of all stripes should be compensated for their work, and I’m not suggesting everyone give away all their work away for free. I hope that (...) I’m able to demonstrate that it’s possible to work in the open and and share your work while simultaneously creating a product that people are willing to pay for. And from a sales perspective, my big bet on writing the book in the open really paid off. In traditional publishing models, authors see a spike and the inevitable long tail of book sales. But by working in the open, it’s like a long-tail flipped on its head. That initial announcement and steady trickle of preorders provided enough capital to pay for all the book’s production costs and entirely removed the financial risk of the project. Pretty neat, huh? Open: exclui fechado, ie editora. Pelas mesmas razões que serão familiares a todos aqueles que enredam pelo DIY: controlo do processo at ur own pace, leeches. Why not go through a publisher? I’ve never written a book before, so it seems dumb to not work with a publisher, who could provide guidance, structure, and resources. But I had a vague sense of what all goes into creating a book, [and] a lot of my friends have written for publishers, and they got burned in a number of ways: they didn’t receive an equitable share in profits (some had a 90–10 split in favor of the publisher! Yowzers. ), they were at the mercy of the company’s publishing schedule, they were restricted in what they could or could not write, they were forced to use specific (clunky) tools, they couldn’t announce or talk about the book before it was complete, they had a bunch of people breathing down their neck to get the thing done, they butted heads with the editorial direction, they couldn’t control their own art direction, and so on. * Literalmente, quem quisesse podia puxar uma cópia dos textos e devolver sugestões e correções sobre este. I seriously considered writing for one particular publisher and felt the arrangement to be fair for everyone involved, but there was one big problem. They were uncomfortable with the idea of me writing the book in the open and sharing the entirety of the manuscript and process as it was being written. So I ultimately turned them down and started down the self-publishing road. It provides deep-linking functionality: sharing the entire manuscript online means that I can easily direct people to a certain heading or passage in the book’s text. I don’t know how authors of traditional books handle this, but I imagine it going something like, “Oh yeah, I’ve written all about [topic X]. Just buy my book, flip to page 142, and it’s in the second paragraph.” Seems clumsy. It allows for crowdsourced edits – I woke up one morning to a slew of pull requests on my draft of Atomic Design. While I was fast asleep, a reader in another country went through the entire text and made a whole heap of grammatical edits. I rolled my eyes when I first saw this, but when I dove into the edits, sure enough they all checked out! Other readers flagged run-on sentences, fixed URLs, and pointed out confusing passages. All of this happened while I was still writing the book! I ultimately ended up working with a bona fide copy editor (more on this in a bit), but encouraging readers to submit issues helped make for a better final product. Does this model work for others? And now for the million dollar question: does this model scale? Can other people adopt this model of writing and apply it to their own work? I don’t see why not! I’m not going to say it’s the best choice for everyone who’s thinking about writing a book, but I think it makes sense for people who have built up some goodwill in their field, who want total control over their work, and who are willing to dive into areas of the publishing process that are normally handled by traditional publishers. Mas antes de tecerem as vossas próprias conclusões, um último acrescento que retiramos da sequência do texto para destaque isolado. Terminada a produção do objecto, a sua distribuição: ainda o DIY. We’ve also become pretty tight with the dude at the post office. I decided to self-distribute the book. Despite quite a few people telling me I was crazy for taking on the tedium of distributing the books myself, I felt it important to maintain a close relationship with the people who supported the project, and also to bring the whole self-publishing thing full circle. 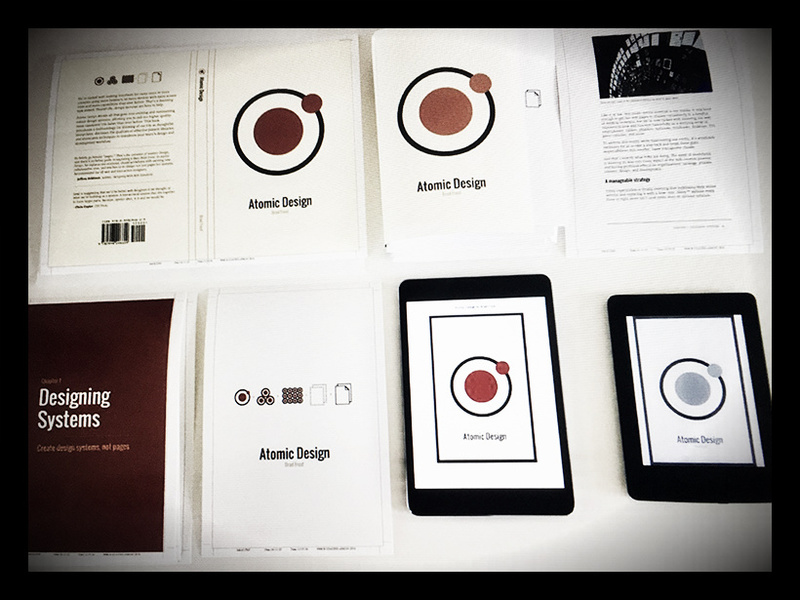 Almost a year into shipping books, I still genuinely enjoy the routine of shipping out copies of Atomic Design. It’s fun to see which countries the book gets shipped to (Faroe Islands! Malta! Iran! ), and I love connecting with the awesome people who support the book. E de distribuições distribuídas, fechamos mais este parentesis entre os techies do desenvolvimento web - mais punx pelo que fazem do que outros que só dão a cara ao livro (*) - e retomamos a promessa feita de encontrar o sentido da vida em faixas escondidas no digital na próxima volta. * Cara livro? Facebook! Pensavam que estavamos a falar destes?